My pretty friendship quilt. 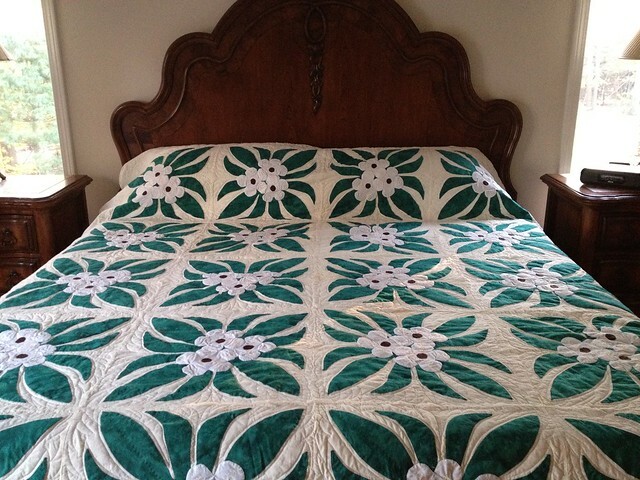 It is a loverly lap quilt size, but also gets used on the guest bed when people need more cover!! 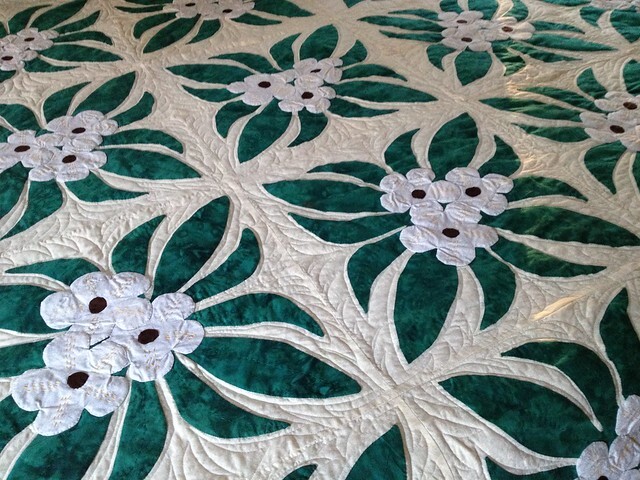 Carolyn you should come on over and try it out Thanks again for the quilt! Check out the quilt my grandmother made me She based it on a hawaiian quilt square and just did a bunch of small ones. 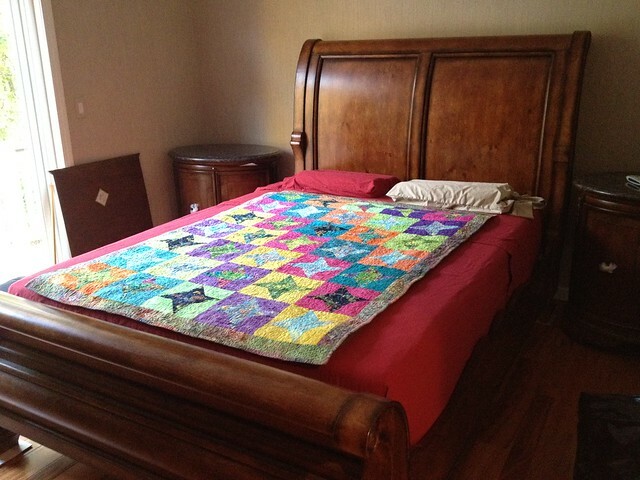 It is quite huge and so I am happy to say so it fits on a King sized bed! Thanks so much Baba, love it!